You want to do something for your fitness - the best would be at home? Then use the approved Kettler quality with the Axos upright bike Cycle M. A solid frame construction and a user weight of up to 110 kg offer sufficient stability for your workout. Due to manual changing of resistance in eight levels, you can always adjust your training load. The balance mass of six kg and a magnetic brake provide the required comfortable concentric run. The Kettler upright bike Axos CYCLE M is equipped with a clear LCD display, which shows time, distance and pulse, among other things. The heart rate is controlled by integrated hand sensors or an optionally available cardio pulse set. 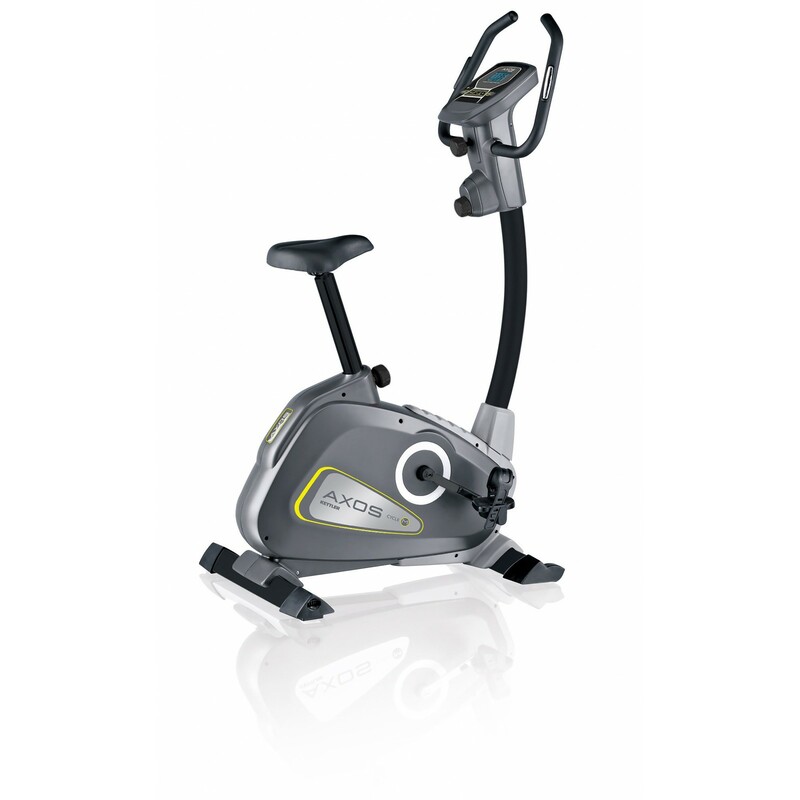 When you leave the set pulse zone, the Kettler upright bike Axos CYCLE M informs you about it. The whole handling of the console is very easy, so that you can always start your training quickly. Kettler upright bike Axos CYCLE M add to comparison list.